FBI Director Says Agency Is Using Drones Over The U.S. : The Two-Way Robert Mueller told the Senate the FBI used drones rarely and for surveillance proposes. 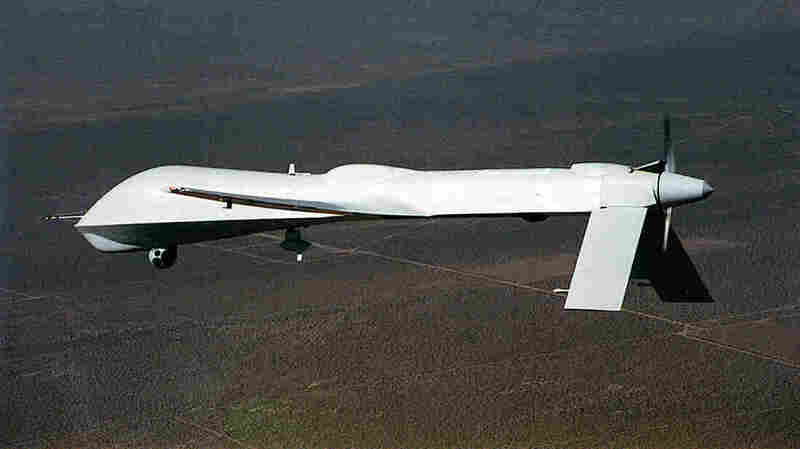 The DEA and the ATF had both revealed they possessed drones. The Federal Bureau of Investigation is using drones on United States soil for surveillance purposes, the agency's director, Robert Mueller, told a Senate committee today. "Our footprint is very small, and we have very few and of limited use, and we're exploring not only the use but also the necessary guidelines for that use," said Mueller , answering a question from Sen. Chuck Grassley, R-Iowa. Mueller, who was testifying in front of the Senate Judiciary Committee, said they were used in a "very, very minimal way and very seldom." "As the Director stated, we have used surveillance aircraft in very limited circumstances to support operations where there was a specific operational need. Unmanned aerial vehicles (UAV) allow us to learn critical information that otherwise would be difficult to obtain without introducing serious risk to law enforcement personnel. As an example, the FBI utilized a UAV at the crisis site during the Jimmy Lee Dykes hostage barricade situation in Alabama earlier this year." "FBI's UAVs are only utilized to conduct surveillance operations on stationary subjects. In each instance, the FBI must first obtain the approval of the FAA to use the aircraft in a very confined geographic area." NPR's Carrie Johnson reminds us that "the Drug Enforcement Administration and the Bureau of Alcohol Tobacco and Firearms also have drones." If you remember, drones became a huge topic of discussion after Rep. Rand Paul led a 13-hour filibuster, where he demanded the Obama administration pledge not to use drones against U.S. citizens on American soil. Of course, Mueller said the aircraft are being used for surveillance, so this is different. Attorney General Eric Holder did eventually respond to Paul, saying the president doesn't have the "authority to use a weaponized drone to kill an American not engaged in combat on American soil."